To some, the idea of God being unchangeable may sound constricting and limiting. But imagine how frustrating it would be if you were trying to design an airplane and the laws of physics just kept changing on you continually. Imagine trying to bake a cake when all of a sudden it required cold to cook instead of heat. Imagine if electricity all of a sudden worked like water and water like electricity. The fact that there is a way prepared should also inspire great confidence in us. Yet many are not satisfied with this path, they would rather find another path and delight in their own cleverness. They feel justified in taking another direction because there isn’t anything in particular telling them they can’t. If they cannot find something specifically condemned in the scriptures, then it must be ok. When you diverge into strange roads, you never get to experience the discovery of those things on God’s path that lie just beyond the mists of darkness. 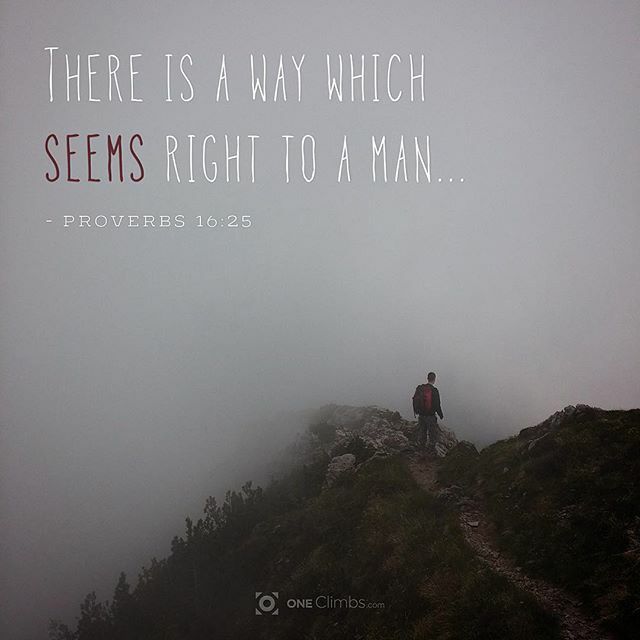 When we walk in God’s ways, we show that we trust his wisdom. No matter how difficult it may be for us to walk his ways instead of our own, it is that very struggle shapes us. God knows this but we do not, not until we pass through those mists of darkness and into the light. Sometimes we may desire an easier way. It is natural to want to avoid pain, confrontation, and struggle. The truth is that it is good for us to confront pain and struggle, we must pass through the mist of darkness; trying to avoid it will get us nowhere.